Damian Willemse needs more game time at No 10 if he’s going to travel to the World Cup as a potential starting option, writes JON CARDINELLI. Handré Pollard will travel to the World Cup as the Boks’ first-choice No 10. If all of the options are fit and available, Elton Jantjies will serve as understudy to Pollard, and as we saw over the course of the 2018 season, play a key role from the bench in the latter stages of big fixtures. Pollard has been in commanding form during the early rounds of the Vodacom Super Rugby tournament. His distribution and game management have been excellent, and his goal-kicking record of 86% speaks for itself. Elton Jantjies produced a convincing performance for the Lions in the recent match against the Jaguares. His attacking game and goal-kicking will be an asset to the Boks at the World Cup. It’s tempting to state that South African rugby is in a good space ahead of the tournament. 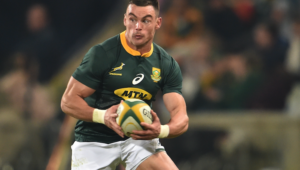 There is still a lot of rugby to be played over the next six months, though, and still a chance that one or both of South Africa’s best flyhalf options will fall foul to serious injury. Bok coach Rassie Erasmus has already stated that Pollard is his first-choice No 10 and Jantjies his second. 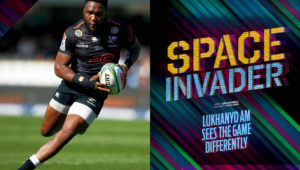 Last year, Erasmus blooded Willemse at Test level and said that the gifted 20-year-old could feature at both flyhalf and fullback at the 2019 World Cup. Willemse received a few opportunities – from the bench – at flyhalf for the Boks, and started at No 15 against England at Twickenham. One wonders whether Erasmus would back Willemse to start at No 10 against the All Blacks on 21 September if Pollard and Jantjies are not available. And yet, with Pat Lambie having announced his retirement, Erasmus may not have any other choice. Earlier this year, Stormers coach Robbie Fleck revealed that he had spoken to Erasmus about managing Willemse over the course of the 2019 season. Erasmus asked Fleck to give Willemse a decent run at No 15, and we’ve already seen the youngster starting at fullback in two of the Stormers’ first three matches. At some stage, however, Willemse has to be backed for a stretch at No 10. Over the past three years, I’ve asked Fleck and WP coach John Dobson about the player’s progress as a game manager from the flyhalf position. Both have stated – and it has come as no surprise given the player’s age – that Willemse is still a work in progress. 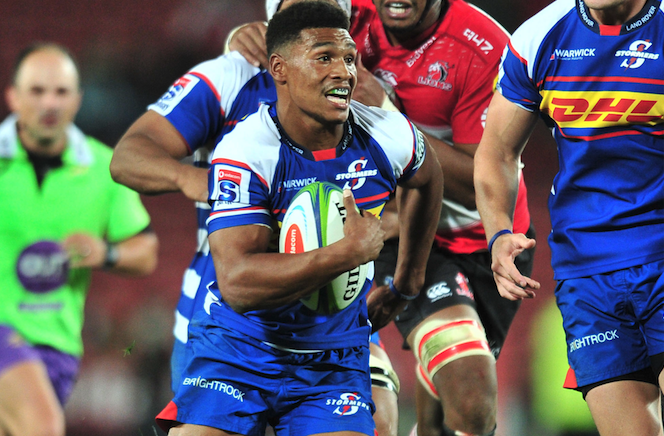 The Stormers have two exciting flyhalf prospects in Willemse and Jean-Luc du Plessis. 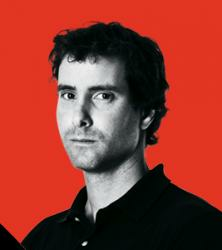 While the latter is not in the Bok picture yet, he is considered by his coaches as a cool head and a good game manager. One can understand why Fleck may be tempted to continue with Du Plessis at 10 and Willemse at 15. South African fans may not want to think about these things at this stage, but there has to be a contingency plan for a scenario that sees Pollard and Jantjies watching a Test from the stands. Perhaps Erasmus will back Willemse to start a Test in the Rugby Championship or in the subsequent friendlies against Argentina and Japan. It would certainly benefit the Boks, though, if Willemse received more time to develop in that role during the preceding Super Rugby tournament. Willie le Roux is the favourite to wear the No 15 jersey at the World Cup. At the moment, it seems likely that Le Roux will travel to that tournament as the only specialist fullback in the 31-man squad, with Willemse and possibly Jesse Kriel providing cover for that position. Vodacom Bulls fullback Warrick Gelant is worth exploring as a World Cup option, though. Gelant didn’t receive an adequate opportunity at Test level last year, as he was hampered by injury. This season, however, Gelant has shown that there is a lot more to his game than a quick step and an eye for the gap. His tactical growth has been remarkable, and if he continues in this vein he should rise to contention. That may force Erasmus to reassess the make-up of his backline group. 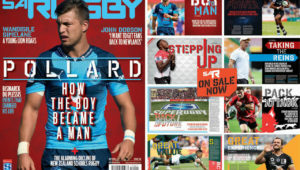 The fact that Pollard can offer an option at flyhalf and centre, though, may leave room in the World Cup squad for a second specialist fullback such as Gelant.